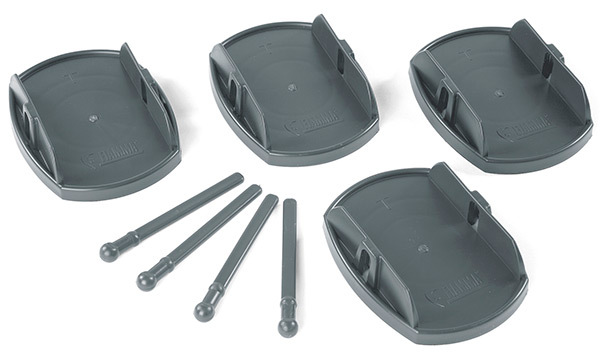 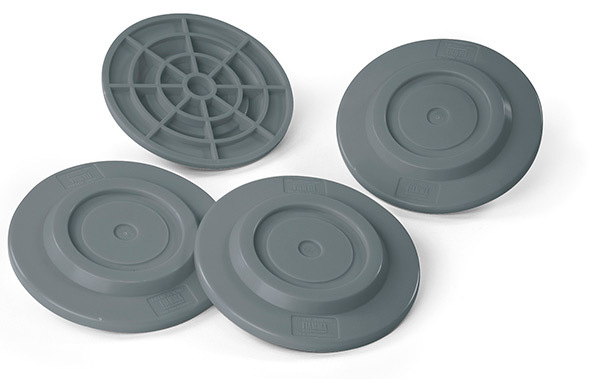 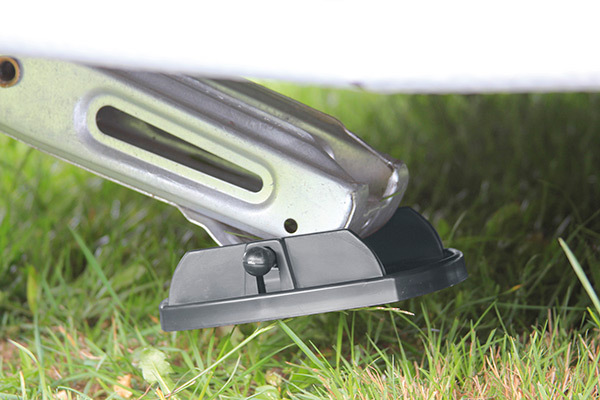 PLATES PRO Kit of 4 anti-sinking bases supplied with 4 locks to be fastened to the vehicle’s lifting jacks. 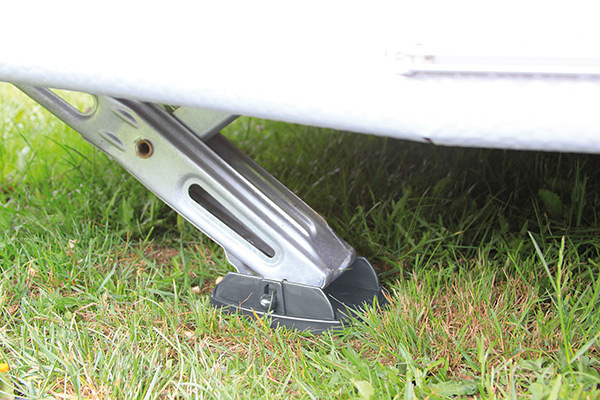 Permanently secured even when travelling. 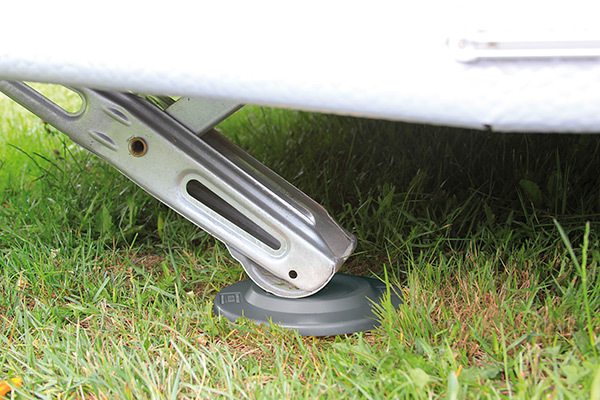 PLATES Kit of 4 reinforced anti-sinking plates for the feet of the caravan.